What is the Articulation and General Studies Committee (AGSC)? What is the Statewide Transfer and Articulation Reporting System (STARS)? How was the AGSC and STARS created? Are all public institutions in Alabama required to follow and implement the policy of the AGSC? What is the make-up of the AGSC? Who currently serves as members of the AGSC? Does the AGSC mandate the curriculum for all public institutions of higher education in Alabama? Does my institution have to participate in this program? Are any private or out-of-state institutions included in this program? What are the advantages of a statewide articulation program? What are transfer guides and contracts/agreements? What are the time limits on STARS Transfer Guides and Contracts and what catalog do students graduate under? Are there four-year to four-year transfer guides? How does my institution submit a course for AGSC approval? What are academic committees and who currently serves on these committees? What are the roles and responsibilities of the academic committees? Who selects (appoints) the faculty members who serve on the academic committees? How long are the terms of academic committee members? I would like to serve on an academic committee. How do I do this? I currently serve on an academic committee. How do I get off the committee? How do I become a chair or vice-chair of an academic committee? What are the responsibilities of the chair of an academic committee? What are AGSC Institutional Points of Contact and what are their roles and responsibilities? How can I set up a workshop or presentation for colleagues on my campus? Is there a cost or fee to participate in the AGSC/STARS? What types of usage reports can I receive regarding the use of STARS in relation to my campus or institution? How did Areas I-V come about and what is the makeup of each of these these areas? What are Transfer Pages and Area V Pages and who is responsible for their maintenance? How frequently is transfer information updated on the STARS Transfer Guide and how do I know when something has changed? What recourse do students have if they feel their STARS Transfer Guide is not being honored? Does this program pay for itself and how is it funded? Who do I contact if I have questions, comments, or suggestions regarding the AGSC/STARS Program? Please submit your question via our contact form and we will respond ASAP. 1. What is the Articulation and General Studies Committee (AGSC)? AGSC stands for the Alabama Articulation and General Studies Committee. The AGSC was created in March of 1994 by the State Legislature through ACT 94-202. The AGSC was created to simplify the transfer of course credit between public institutions of higher education. To accomplish this task, the AGSC has developed and has implemented a statewide general studies and articulation program that facilitates the transferability of coursework among all Alabama public colleges and universities. The AGSC continues to serve as a monitoring committee for the articulation program. The committee members oversee and maintain the program on an on-going basis. Finally, the AGSC works to resolve any student appeals related to transfer of coursework as it relates to the articulation program. 2. What is the Statewide Transfer and Articulation Reporting System (STARS)? STARS stands for Statewide Transfer & Articulation Reporting System. STARS is a web-accessible database system which provides guidance and direction for prospective transfer students in the State of Alabama. The STARS System allows public two-year students in Alabama to obtain a Transfer Guide/Agreement for the major of their choice. This guide/agreement, if used correctly, guides the student through his/her first two years of coursework and prevents loss of credit hours upon transfer to the appropriate public four-year university in Alabama. Although transfer guides/agreements can be printed only for two-year to four-year transfers, the STARS System can still provide guidance and direction to transfer students who have a different transfer situation. The Alabama Articulation and General Studies Committee (AGSC) is responsible for the oversight and monitoring of the STARS System. The information that students receive from the STARS System has been approved by the AGSC. Click here for step-by-step instructions for using STARS. 3. How was the AGSC and STARS created? The AGSC and STARS Program was created through by the Alabama State Legislature through the passing of Act 94-202. 4. Are all public institutions in Alabama required to follow and implement the policy of the AGSC? YES --- All public four-year universities and two-year community colleges in Alabama who receive state funding are required to follow and implement the policy set forth by the AGSC. All accredited public two-year institutions who teach courses from the Two-Year Common Course Directory, participate in the AGSC/STARS Program. Students attending these community colleges can obtain a STARS Transfer Guide in the major of their choice. The transfer guide, if used correctly, guides the student through his/her first two years of coursework and prevents the lost of credit hours upon transfer to the selected public four-year university in Alabama. All accredited public four-year universities are required to accept the course credit as outlined on the transfer guide. The course credit must be applied to the total degree hours required for the major chosen by the student. In addition to applying the transfer credit toward the degree requirements, the four-year university must also graduate the transfer student in the same number of total hours as the native student. Click here to view a list of two-year and four-year institutions who participate in the AGSC/STARS Program. Click here for interactive map. 5. What is the make-up of the AGSC? Note: Each member has an alternate. Click here for link to current AGSC Member listing. 6. Who currently serves as members of the AGSC? The make-up of the AGSC is described in question #5 above. Click here to view the current AGSC members' listing. These individuals are appointed by their respective institution, system, or the Council of Presidents. 7. Does the AGSC mandate the curriculum for all public institutions of higher education in Alabama? NO --- The AGSC does not mandate the curriculum for all public institutions of higher education in Alabama. However, all public institutions of higher education who receive state funding must adhere to the statewide transfer policy set forth by the AGSC. This simply means that four-year institutions must honor and accept transfer credit as prescribed by the STARS Transfer Guide. While the AGSC does not mandate state curriculum for all institutions, most, if not all, of the two-year and many of the four-year institutions have adjusted their general studies programs to be more in-line with the AGSC general studies requirements set forth in Areas I-V(approximately 60-64 SH). 8. Does my institution have to participate in this program? All accredited public two-year and four-year institutions in Alabama who received state funding are required to participate in the AGSC/STARS Program. All institutions listed here are required to participate. 9. Are any private or out-of-state institutions included in this program? NO --- currently no private or out-of-state institutions participate directly in the AGSC/STARS Program. However, by CLICKING HERE, students can access and print official transfer guides that cover transfers from public two-year community colleges to private (independent) four-year institutions in Alabama. The information obtained from this site is an agreement between the Alabama Community College System and each of the Alabama Independent Colleges and Universities. This information is NOT part of the statewide articulation agreement that is governed by the AGSC. Once you click the link above, a new browser will open and take you to the ACCS menu page. If you have questions about these guides, please contact the Alabama Community College System office or the Alabama Independent Colleges and Universities office. Our office is unable to answer questions regarding transfers to private institutions in Alabama. 10. What are the advantages of a statewide articulation program? Students and parents benefit. Having a statewide articulation program that covers the transfer of course credit from one public institution to another can result in huge savings in terms of time and money for both parents and students. For example, if a student takes one or more courses that he/she believes will transfer and upon transfer finds out otherwise, the student not only loses the money spent on tuition, books, room and board but also must face graduation delays which might result in lost income from future job opportunities. The public two-year institutions benefit. In addition to saving time and money for students and parents, the two-year colleges across the state have begun to streamline their course offerings to better match the AGSC approved transfer requirements as prescribed by STARS. The two-year colleges can also provide better and more consistent advising and counseling for their students. Most two-year institutions, if not all, have started to use STARS as their primary advising tool. The public four year institutions benefit. Now that a state articulation program is in place, four-year institutions can better accommodate the transfer student. The four-year institutions are more familiar with which courses they have to take in each of the various majors or programs. In addition, each month every four-year institution is sent a list of prospective transfer students who have expressed and interest in transferring to their institution. This listing provides the four-year institutions with student names, addresses, e-mails, and phone numbers (if provided). This reporting feature has greatly enhanced the transfer student recruitment process. The State of Alabama benefits. The STARS program also makes it easier for students to begin and complete their degrees in Alabama. In addition, the state articulation program promotes accountability among the higher education leaders of Alabama. Through this program, millions of dollars are saved each year because students are better informed and they do not waste time and/or money taking courses that will ultimately not count toward their total degree hours. Alabama is not alone in this effort. Many states have implemented similar state articulation programs. In almost every instance, the benefits gained from such programs far outweigh the costs and difficulties associated in implementing and maintaining such a program. If you would like to have someone from the STARS staff come to your campus and discuss the positive impact that the AGSC/STARS Program has had on higher education in Alabama, please contact us. 11. What are transfer guides and contracts/agreements? Transfer guides are simply the paper document created through the STARS System that details the specific courses and options required in the first two-years of college for students who currently attend or plan to attend a two-year community college prior to transferring to a state four-year institution. The guide has various parts. Students must use the STARS System as instructed----> See HOW TO USE STARS. If you still have questions or need assistance in obtaining a STARS Transfer Guide, please contact us. 12. What are the time limits on STARS Transfer Guides and Contracts and what catalog do students graduate under? The STARS Transfer Guide is to be honored for a period of four years from the date printed off the web site by all other public institutions of higher education that offer programs in the specified discipline. Students should keep a copy of this guide for verification purposes. The STARS Transfer Guide remains valid and is guaranteed only if the student continues in the major specified on his/her transfer agreement. Changes made by accrediting and/or other regulatory agencies could result in specific requirements being added to the Transfer Agreement (i.e., No Child Left Behind Mandates). Any changes made by an institution in its degree programs will affect the transfer student in the same manner as the students native to the University. Catalog Year Issue - The students who use transfer guides will be graduated under the catalog in effect on date that the guide is printed unless they choose to go under the catalog in effect at time of transfer. See #1 on transfer agreement. Templates are documents created by the various discipline committees and specific institutions which simply set forth the requirements for the first two-years of the program. Once a template is ratified by the AGSC, the STARS office then takes that document and creates a corresponding transfer guide to be used by prospective transfer students. For more information about AGSC templates, click here. 14. Are there four-year to four-year transfer guides? NO --- The STARS System does not provide individualized four-year to four-year transfer guides like it does for two-year to four-year students. However, students attending four-year institutions can use ratified templates and their institutions approved course listing to see those courses in their major area which will transfer from their current four-year institution to other four-year institutions in the state in their major. Students contemplating a transfer from an Alabama four-year institution to another Alabama four-year institution are strongly encouraged to meet prior to transfer with the prospective receiving institution to discuss possible transfer options and course equivalencies. See our participating institutions page for more information about all the institutions that we serve. 15. How does my institution submit a course for AGSC approval? The AGSC Course Proposal Procedure, Guidelines, and Forms can be found here. Note: Individual two-year institutions should not submit courses for approval. This should go through The Alabama College System office for approval. Contact us for more information. 16. What are academic committees and who currently serves on these committees? In the early years of the AGSC/STARS Program, the members of the AGSC agreed that the foundation of the statewide articulation program had to rest with the academic faculty across the state who serve as the experts in their chosen academic fields. As a result, the AGSC set out to establish different academic committees that would take on the role of reviewing possible transfer courses and making recommendations to the AGSC regarding course approvals and template ratifications. The AGSC established General Studies Academic Committees (GSACs) to review courses for AREAS I-IV and ratify templates that fell within their discipline area (in July of 2018, the 21 GSACs were restructured into 3 AREA COMMITTEES). In addition they created Pre-professional Academic Committees (PACs) that primarily focused on ratifying templates that serve the needs of transfer students who choose to major in various professional type programs. Through this review/approval process, official transfer guides are created and made available to thousands of students who attend public community colleges in Alabama. This process has been a tremendous success and continues today. To learn more about these committees, follow the links below. To find out more about the make-up, roles, and responsibilities of the the AGSC Academic Committees, click here. To read more about individual Area Academic Committees (AACs) - click here. To read more about individual Professional Academic Committees (PACs) - click here. 17. What are the roles and responsibilities of the academic committees? The roles and responsibilities vary depending on the type of academic committee. To find out more about the roles and responsibilities of the the AGSC Academic Committees, click here. AAC roles and responsibilities - Click here. PAC roles and responsibilities - Click here. 18. Who selects (appoints) the faculty members who serve on the academic committees? The four-year university AREA Committee Members are selected by the Council of Chief Academic Officers. The two-year AREA Committee Members are selected by the Chancellor of the Alabama College System. The responsibility of appointing faculty members to serve on various Pre-Professional Academic Committees is	handled by the institution's point of contact for AGSC/STARS matters. These individuals often maintain a list of possible candidates. In naming these individuals, the points of contact often get input or recommendations from academic deans, associate deans, and or department heads. 19. How long are the terms of academic committee members? The Area Academic Committee Members serve 3 year terms. There are no set terms for the Pre-Professional Academic Committee members. The PAC members can serve as long as they desire or as long as their institution chooses to have them serve. To find out more about the roles and responsibilities of the the AGSC Academic Committees, click here. 20. I would like to serve on an academic committee. How do I do this? The best way to become a member of one of the Pre-Professional Academic Committees in your discipline is to give your name to your institution's point of contact for AGSC/STARS matters. Inform the contact person that you would like to serve on an academic discipline committee should a slot open. They will put you on a waiting list or go ahead and appoint you if a slot is currently available in your discipline area. If you are interested in serving on one of the AREA Academic Committees, please, please send your name, phone number, email and discipline area to the STARS OFFICE. The best way to become a member of one of the Pre-Professional Academic Committees in your discipline is to give your name to your institution's point of contact for AGSC/STARS matters and they will forward your request to the Community College System office. Your name will then go on a waiting list and once a slot opens in your discipline, the academic officers at the Community College System office will select a person to fill that position. If you are interested in serving on one of the AREA Academic Committees, please, please send your name, phone number, email and discipline area to the ALABAMA COMMUNITY COLLEGE SYSTEM OFFICE (please state that you are interested in being put on the prospect list for AGSC STARS Area Committee membership). 21. I currently serve on an academic committee. How do I get off the committee? The best way to be removed as a member of an academic committee is to make a formal request to your institution's point of contact for AGSC/STARS matters. The Point of Contact will, in turn, notify our office and inform us of the member change. Please take action to be removed if you do not want to serve. It is better to have someone from your institution who is willing to serve and be active than to have someone who simply does not reply or does not take the initiative to become involved. 22. How do I become a chair or vice-chair of an academic committee? Chairs and vice-chairs are elected by the members of the academic committee. The terms of the chair and vice-chair is normally three years. Once you are a member of a committee, please let the current chair (or the STARS office) know of your interest in serving as a chair. 23. What are the responsibilities of the chair of an academic committee? The main responsibility of the chair of an academic committee is to serve as the main contact person for the committee. Usually, action items are initiated via e-mail from the STARS office to the chair of the academic committee. Committee members are encouraged to respond or vote on issues through correspondence with their chair. The chair basically oversees the work of his/her committee. He/she is to make sure action is taken and votes are recorded and reported back to the STARS office by the designated deadlines. Many times, work required of a specific committee can be handled by e-mail, regular mail, phone, or fax. Sometimes, the chair may set up a face-to-face meeting should he/she feel one is warranted. 24. What are AGSC Institutional Points of Contact and what are their roles and responsibilities? In 2002-2003, the AGSC determined (as a result of an outside evaluation study) that better communication was needed between the AGSC/STARS Office and the various public institutions (two- and four-year) in Alabama. To help resolve this communication problem, the AGSC created Institutional Points of Contact at each institution impacted by the AGSC and STARS. These individuals serve as the primary contact person on their campuses. To view the current roles/responsibilities of these individuals and to see a listing of the current individuals serving as their Intuitional Point of Contact for AGSC/STARS matters, click here. 25. How can I set up a workshop or presentation for colleagues on my campus? The best way to set up an AGSC/STARS workshop or presentation for various academic groups on your campus is to complete our online request for on-site training/presentations. This allows you to provide us with information about the meeting and your training/presentation needs. Due to recent budget cuts, our travel budget has been drastically reduced. Therefore, these cuts may limit our ability to travel to your campus. If you can help offset some of our travel costs (hotel, mileage, etc.) we will try to make sure we come and make a presentation or provide training as needed. If you have questions or need further assistance, please contact Dr. Keith Sessions (Executive Director of AGSC/STARS). You can reach him by e-mail or by phone (334)-670-3690. 26. Is there a cost or fee to participate in the AGSC/STARS? NO --- Currently, this program is funded solely through Alabama taxpayer dollars. There is no charge to individual students or institutions for the use of the AGSC/STARS Program. The AGSC/STARS Program is funded as a separate line item through the Alabama Commission on Higher Education (ACHE). If at some point in the future, funding of this program makes it unsustainable, there may be some type fee added for this service. 27. What types of usage reports can I receive regarding the use of STARS in relation to my campus or institution? Monthly and Annual STARS Usage Reports are available on the web in various formats. Please click here to view the current usage reports online. If you need individualized reports for your institution, please contact Mr. Shannon Nichols by e-mail or by phone (334) 670-3691. There is no cost for this service. NOTE: We may not be able to generate certain types of reports simply because we collect and maintain only certain data. In addition, some information cannot be released to the general public due to FERPA laws. Contact us and find out if we can create a report to help you. 28. How did Areas I-V come about and what is the makeup of each of these these areas? After years of discussion, research, and debate, the AGSC established five separate areas that compose the first 60-64 hours of degree credit. These components serve as minimum standards for the various academic committees as they establish transfer requirements for students in their various discipline areas. It should be noted that the AGSC/STARS System is major (discipline) driven. To view AREAS I-V as they currently exists, click here. 29. What are Transfer Pages and Area V Pages and who is responsible for their maintenance? Area V Pages are also maintained by each individual four-year institution in Alabama. The primary purpose of Area V pages is to provide transfer students with additional information about transfer coursework that can be taken at the two-year institutions to complete the Area V requirements not covered on the official AGSC/STARS Transfer Guide. Four-year institutions can use these pages to provide information about specific admission criteria and requirements for specific academic programs. In addition, four-year institutions can make strong recommendations in Areas I-IV as long as they do not limit choices by transfer students in those areas. In some cases, the Transfer Assistance Pages and the Area V Pages are combined into one single web page. NOTE: To better assist students, every STARS guide viewed includes a listing of the institutions that offer bachelor degrees in the student's chosen major. This listing is hot-linked to institutional Home Pages, Transfer Assistance Pages, and Area V Pages. If you have questions about your institution's Transfer Assistance Pages or Area V Pages, please contact your institutional point of contact for AGSC/STARS matters. The point of contact, in turn, will contact our office if necessary. 30. How frequently is transfer information updated on the STARS Transfer Guide and how do I know when something has changed? Since all STARS Transfer Guides are based on current curriculum standards as prescribed by the various academic committees, this information changes periodically. In most cases, the information on STARS is updated soon after regular AGSC meetings (every 2-3 months). However, should the need arise, the STARS Staff can make changes at any time. To stay informed about changes that impact the content of STARS Transfer Guides, click here. Each time our office changes or updates a particular transfer guide, we will post a summary of the change on this page. The page is color-coded to help end-users differentiate the changes. NOTE: All two-year and four-year institutions are responsible for checking periodically for changes so that they too can update or change their Area V Pages (if needed). 31. What recourse do students have if they feel their STARS Transfer Guide is not being honored? There is a formal appeals procedure in place if students feel their STARS Transfer Guide is not being honored. However, as of today, the AGSC/STARS Office has had ZERO appeals. Students who are having a problem or issue with the transfer of their credit prescribed on their STARS Guide should report that problem using the ONLINE FORM. We will begin address their issue in accordance with the current appeals procedure. 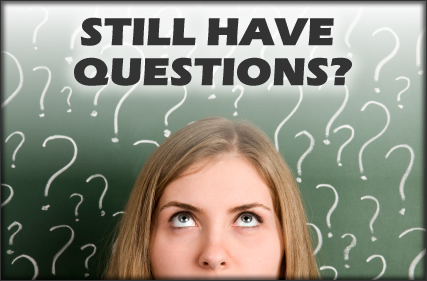 If students have questions or concerns, they can also contact our office at (334) 670-3690 or e-mail the STARS Office. 32. Does this program pay for itself and how is it funded? The AGSC/STARS Program is funded through Alabama State Taxpayer dollars. Since Fall of 1998, over 900,000 students have obtained STARS Transfer Guides. If each guide printed prevents a student from taking one course that will not transfer, one could conservatively estimate that the AGSC/STARS Program has saved students and parents (state taxpayers) over $900 million in tuition, books, room and board. Averaged out over that time period, that amount equals a savings of over $70 million dollars per year. 33. Who do I contact if I have questions, comments, or suggestions regarding the AGSC/STARS Program? Please see our contact information page.